Last weekend we started off #Sanfording at Fuel BBQ / The Alley (Corner of Park & 2nd Street). 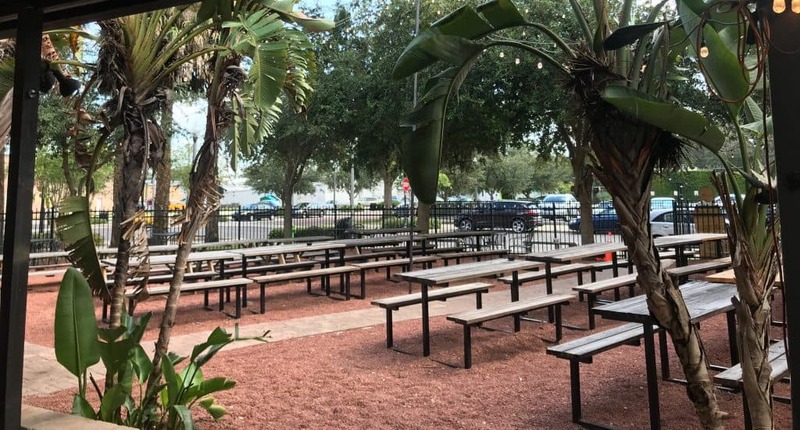 I love any excuse to get in there and get some awesome BBQ, but Saturday I had the best excuse of all – My Acoustic Duo (Acoustic Inferno) was playing 4-8 P.M. There was a Bike Run going on for a guy who was in an accident. They were raising some money for his hospital bills. 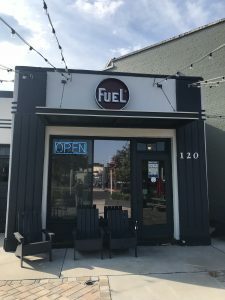 Last time we played at Fuel, we were outside on the patio area. Chris, the owner was kind enough to put us inside on the old Blues stage near the Park ave. side entrance of The Alley. It was approaching 98 that day, so it worked out well for us and the friends who came to hang out. We had an absolute blast! I can’t wait to get back there. 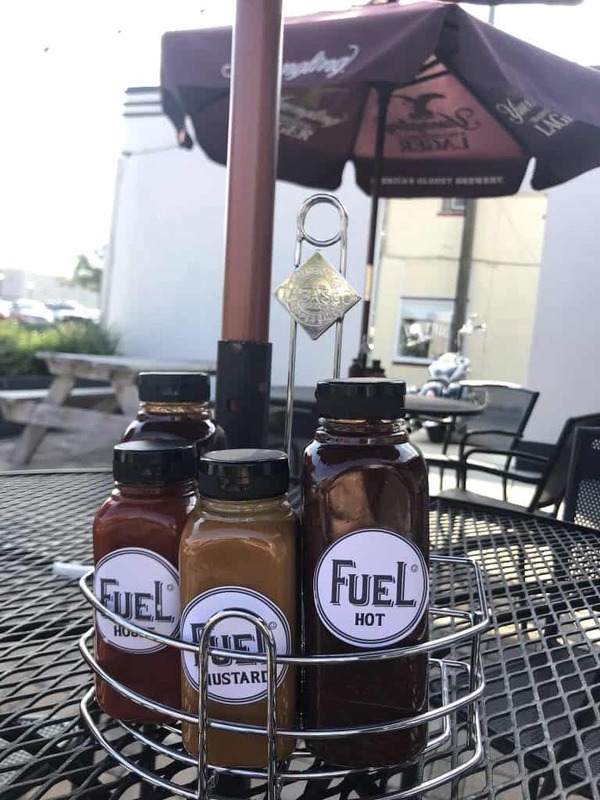 I can never pass up the excellent BBQ at Fuel. On my first set break I ordered the 12 oz. Burnt Ends, some collard greens and Fuel’s absolutely ridiculous green beans and cornbread. Fantastic as always. At 8 P.M. right as we were finishing up, local band Bar Fly took to the main Alley stage. Since the renovation, Chris and his soundguy Scott have done a great job at making this the best Live Music Venue in Historic Downtown Sanford. I like that they are getting more local rock bands now in addition to the always great Blues acts which have been an Alley staple for years. Bar Fly was just killer, and their new Guitarist Roger blew me away with his excellent tone and feel. For you guitar nerds out there, he was using one of those little Quilter amps. That thing sounds awesome. I’ve been looking into Quilter amps for a while as a smaller, lighter alternative to a big 100W Tube Head. I think when I put together my next electric rig, I’m going to talk to Roger about that. If you haven’t seen Bar Fly, Hunter Hailey might be the best male Rock singer in Central Florida Right now. Just an amazing talent. I can’t wait to see them again! 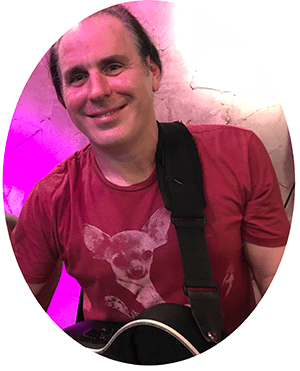 Acoustic Inferno performs about every other Sunday at The Breezeway 1-5 P.M. Of course we always love it there, and the food and staff are always fantastic. I decided to change it up this week and go with some lighter fare. After my Fuel BBQ & Beer hangover I decided on a Chicken Salad sandwich on Multi-grain toast and some steamed veggies on the side. Delicious! My acoustic partner Lyndsley always gets that Chicken Salad. 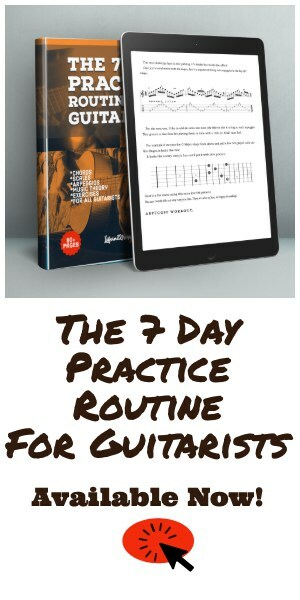 I tried it 2 weeks ago and it was great. It’s even better as a sandwich. We’re at The Breezeway every Sunday in October, so get out there and show them (and us) some love. Hopefully the weather mellows out a bit! Thursday the 20th was my 21st Wedding Anniversary. Every year my wife Celeste and I do something a little different, but this year we just decided to keep it simple and KEEP IT LOCAL. #Sanfording! 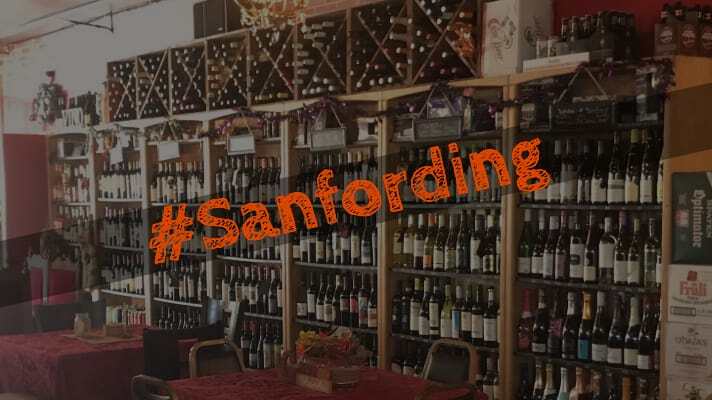 The better it gets in Historic Downtown Sanford, the less likely we are to stray away from it. These days there’s almost nothing we’d rather do than just hop from place to place around Downtown. Our oldest cat Mario has been sick as of late. He’s had a lot of stuff wrong with him, so we had him to the Vet every day this week. We had to make the difficult decision to euthanize him Thursday morning. What a bummer. 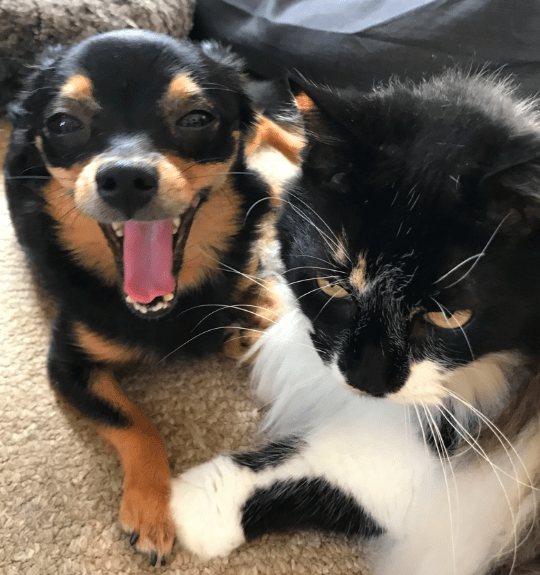 As a lifelong pet owner, it’s never easy, but it was definitely his time. Needless to say this was a total mood killer for our Anniversary plans. Mario was absolutely the best cat we’ve ever had (and we’ve had 6). I rescued Mario from a pregnant bartender at The Green Parrot way back in 2004. She didn’t want to deal with the cat and a new baby at the same time. Her loss. After moping around the house all morning Celeste and I decided to get out and salvage what we could of our anniversary. 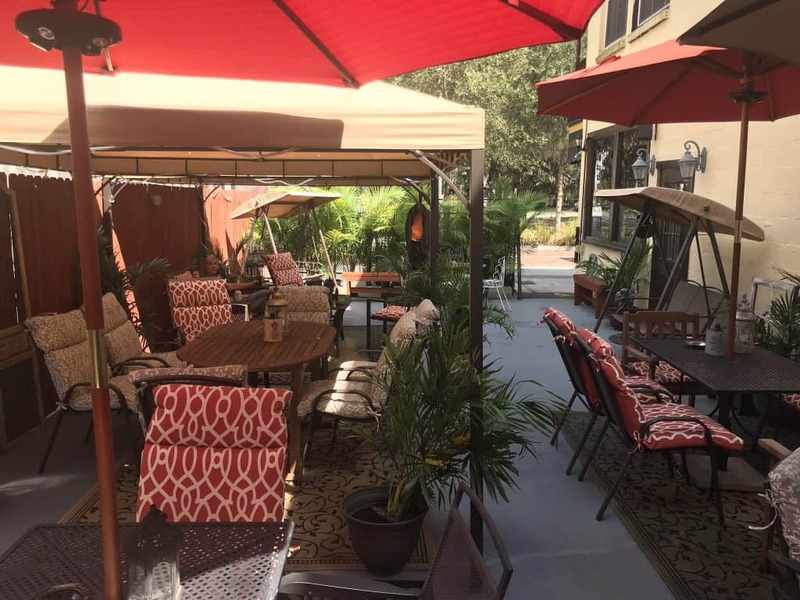 We had been to Luisa’s Cellar twice and just loved the wonderful vibe and gorgeous outdoor side patio. Since it was too early to eat dinner, we decided to check and see if Luisa’s had any Seasonal Fall beers yet and maybe grab a snack. We got lucky. They had just gotten the Shipyard Pumpkin beer in (served with cinnamon around the bottle lip) and Cigar City Brewing (Tampa) Ocktoberfest. Delicious! We ordered the Olive plate with wonderfully seasoned olives, Manchego Cheese and crackers. Just the perfect afternoon snack to get us started. After that, we moved out onto the patio and enjoyed the quiet afternoon slowness before the after-work crowd gets downtown. A few weeks ago, I mentioned that Luisa’s does a “Bring your own Vinyl” Tuesday night. I’m so down with this idea. I also noticed they actually have a rack toward the back and sell some vinyl records too. Very cool. We’re definitely planning on attending a Tuesday vinyl session ASAP. We really love this place! A Welcome addition to Downtown Sanford. Now that Celeste had gotten a taste of the Pumpkin Beer we were on the hunt for some more. We realized it was early in the season, but thought we’d try anyways. We headed over to Celery City Craft. Our buddy, Manager/Bartender Jeff was practicing his new cocktail concoctions. They didn’t have any Pumpkin beers yet but assured us they will in the coming weeks. We’ll be back and I’ll be sure to do a full Fall Beer Roundup next month. We hung out in their beautiful beer garden for a bit before moving on. We’ve been wanting to try this place, but for some reason haven’t gotten around to it yet. 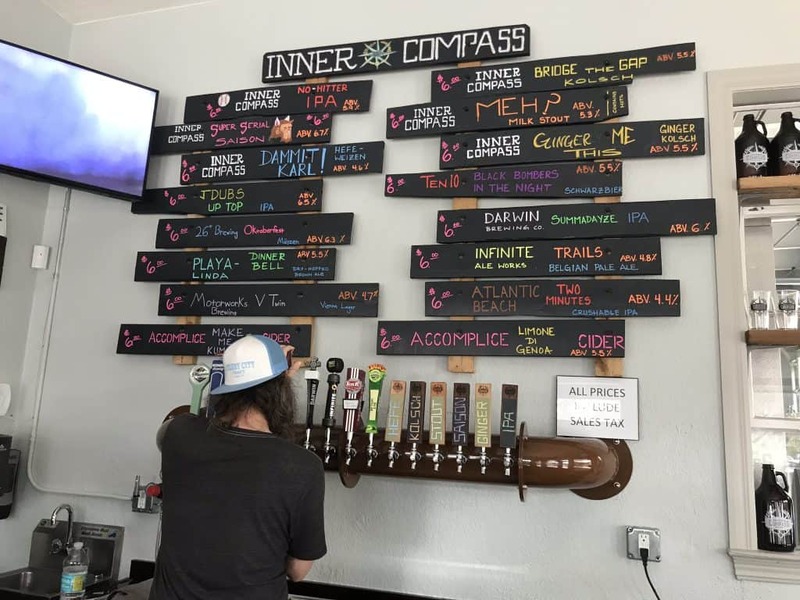 Right across the street from Celery City Craft is a new brewery, Inner Compass. Great beer and cool vibe. 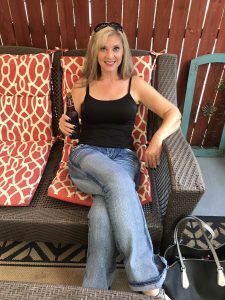 We sat outside and had a beer before moving on. My only gripe was it was just too quiet outside. They need to pipe the indoor music to outdoor speakers to liven it up a bit. We had another delicious Octoberfest, the 26 Degree Brewing Ocktoberfest. A Marzen style brew. Fantastic. Since we were intending to have dinner later at our favorite: El Zocalo Mexican Restaurant, we decided to head back up Sanford Ave. that way. 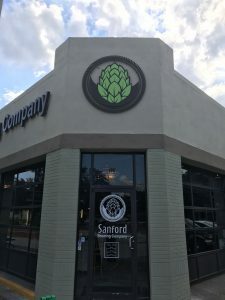 We should have known Sanford Brewing would have some good choices. I have to say, The Night Owl Pumpkin Ale may be the best Pumpkin beer we’ve ever had! Will definitely be back for that one soon! Wow. 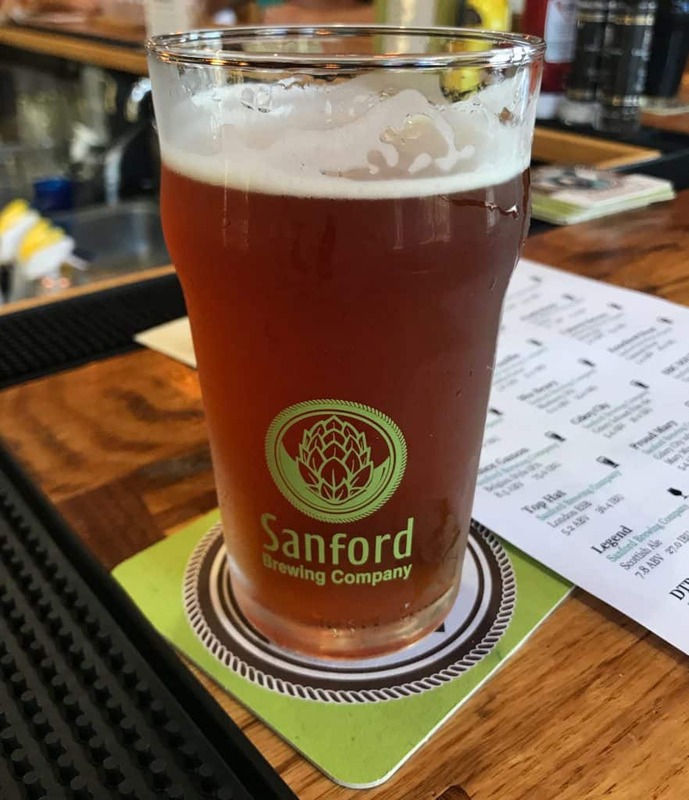 Historic Downtown Sanford’s first Micro-Brewery, Wops Hops is always a great time. 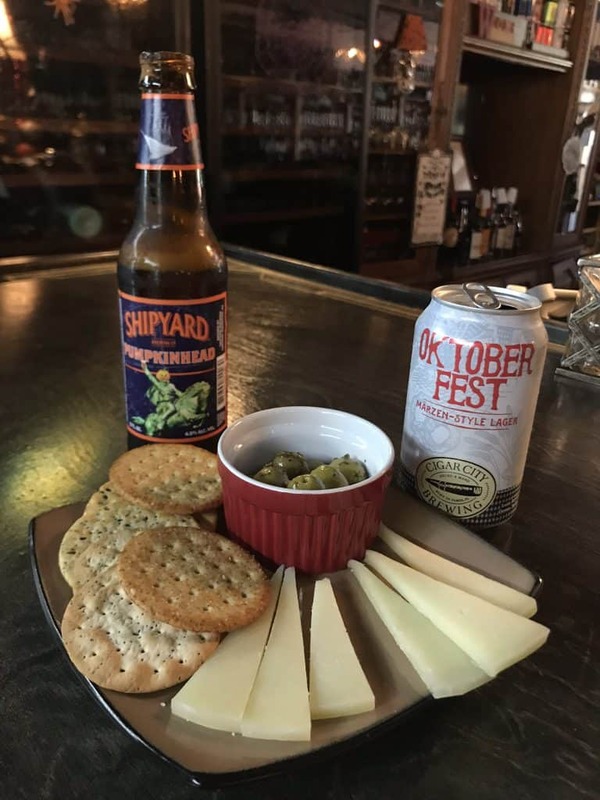 Wops Hops is located in the landmark building that previously housed the old Stokes Fish Market. I had the WopToberfest, which was amazing! Celeste had the Sweet Potato Porter. The guys at Wops Hops were joking around telling her she wouldn’t know the difference between the Sweet Potato and a Pumpkin beer (which they don’t have yet). Regardless, she loved it! Porters are not usually her thing, but this one was really good. The head Wop himself gave us a delicious homemade donut for our anniversary and a sample of his latest pasta dish. 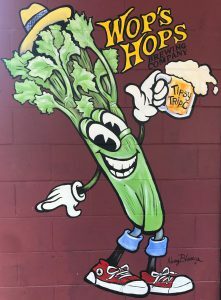 When you visit Wop’s Hops, you aren’t just a customer. You are family. “La Famiglia” means “The Family” in Italian and represents their philosophy of treating all staff and guests like family. That’s exactly how we felt at Wops Hops. After several hours and a mile or 2 of walking around downtown we closed out the night as usual at our favorite restaurant, EL Zocalo. We made the best of what started out as a bad day. Another anniversary in the books for Celeste and I, and another epic #Sanfording day.